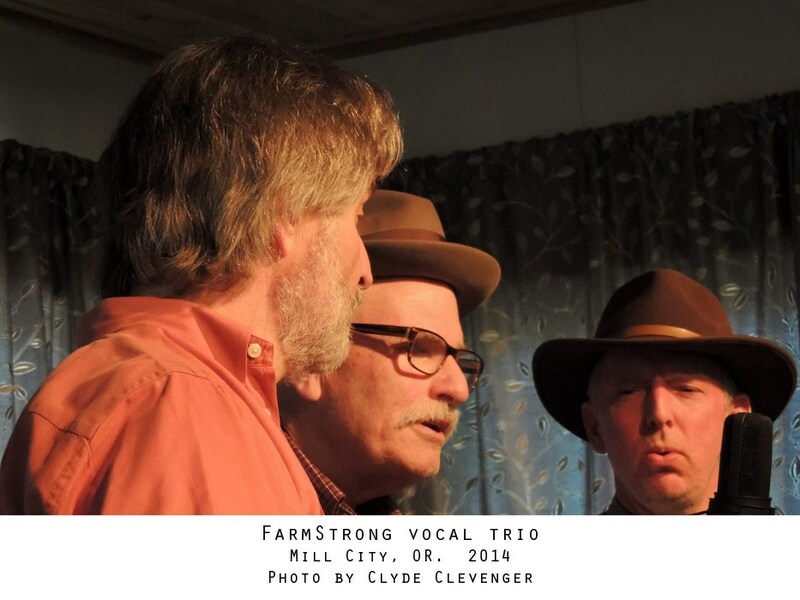 FarmStrong, a four piece acoustic band based in the Dungeness Valley on the Olympic Peninsula, fuses a multitude of American roots sounds together, using their world-class vocal harmony singing as a foundation. Each individual in the band brings a wealth of bluegrass picking and singing experience to the band, but what separates the band from the traditional bluegrass fold is a far more nuanced approach to instrumentation, and a very diverse set of songs, ranging from traditional bluegrass to soul, blues, and popular songs of the 50s through the 80s, including songs by the Temptations, Doris Troy, Neil Young, and even the Cars. 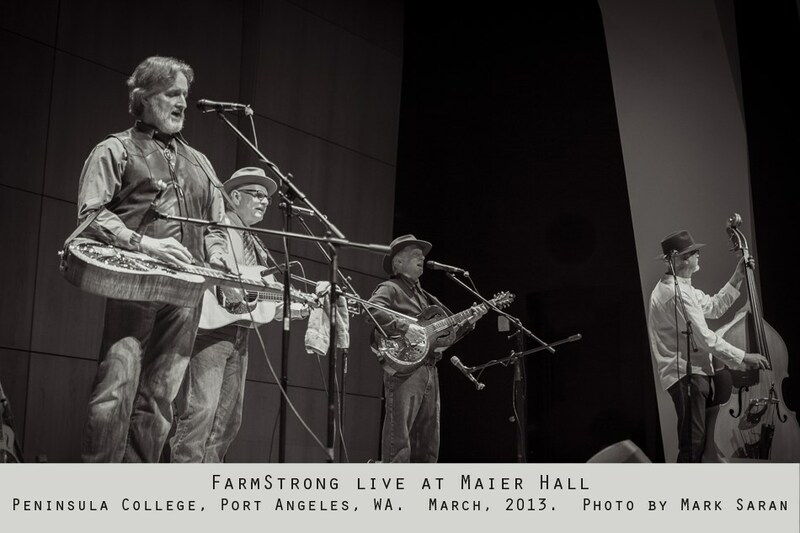 FarmStrong was a hit at with the senior residents. They were very professional, interacted with the crowed well, and are very talented musicians. They arrived with plenty of time to set up and make accommodations for the room, very easy to work with and filled the room with an enthusiastic energy. We hope to have them back, Thank you! This was the perfect group for our event. They were on time, on point and extremely talented. They were able to add a "special" song to their set list for us which was performed with excellence. If you are looking for a fun, laid back group of guys to drift with, then Farm Strong is well worth booking. Great group of guys. Did an outstanding job for our family reunion. 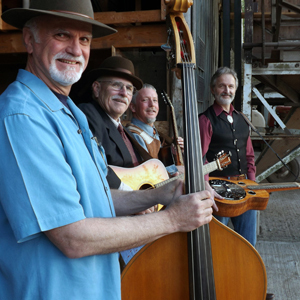 If Bluegrass is your style, you won't be disappointed. I highly recommend. Farmstrong helped make our wedding an event to remember! They are not only professional and a pleasure to work with but they are extremely talented and great entertainers! They were so accommodating, and even learned a new song for me to walk down the aisle to. They made our day so special. Guests unanimously raved about them, and I will never forget them pulling us onstage to sing a duet of our favorite song. Thank you Farmstrong! Tori, Thank you for your awesome review. It was our pleasure to perform for you and your guests and I'm so glad it worked out for you and Joe to get up and sing with us. We wish you all the best in the years to come and thanks again for choosing FarmStrong to play at your wedding. I hired FarmStrong to perform for our Kentucky Derby party. They handled every request I made and created the perfect musical atmosphere for the party. Since they brought all their needed equipment with them, I really had to do nothing besides provide an extension cord. It was a seamless experience and left me and my guests incredibly satisfied. I highly recommend this talented and affordable band who clearly love to play music together. Very prompt and entertaining. Enjoyed totally their music and Personalities. Would recommend strongly for all types of Venues. These guys played one hell of a show. Great guys, showed up ready to go. Super easy to work with. Couldn't be happier! Please note FarmStrong will also travel to Carlsborg, Gardiner, Joyce, Port Angeles, Port Townsend, Hadlock, Chimacum, Nordland, Quilcene, Coupeville, Port Ludlow, Waldron, Greenbank, Whidbey Island N A S, Freeland, Victoria, Oak Harbor, Hansville, Brinnon, Bremerton, Lopez, Friday Harbor, Langley, Orcas, Shaw Island, Poulsbo, Kingston, Silverdale, Clinton, La Conner.